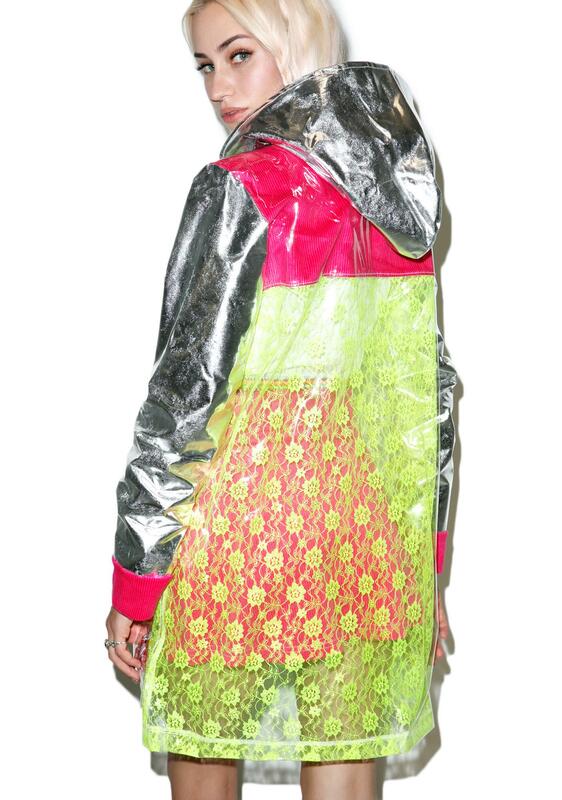 The Ragged Priest Species Jacket cuz yer a rare one. 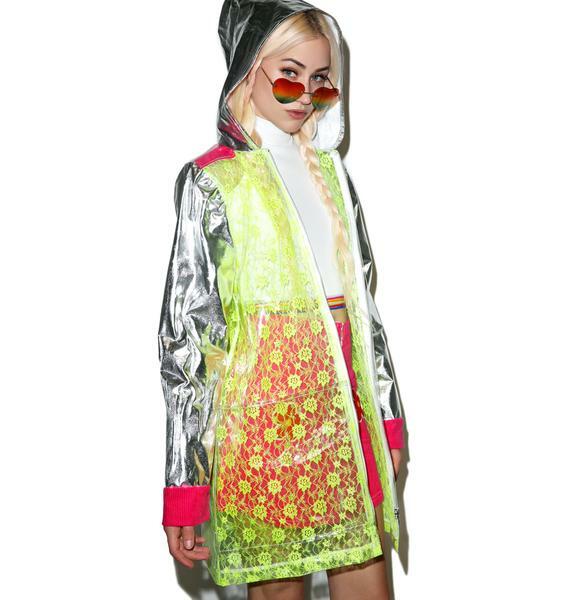 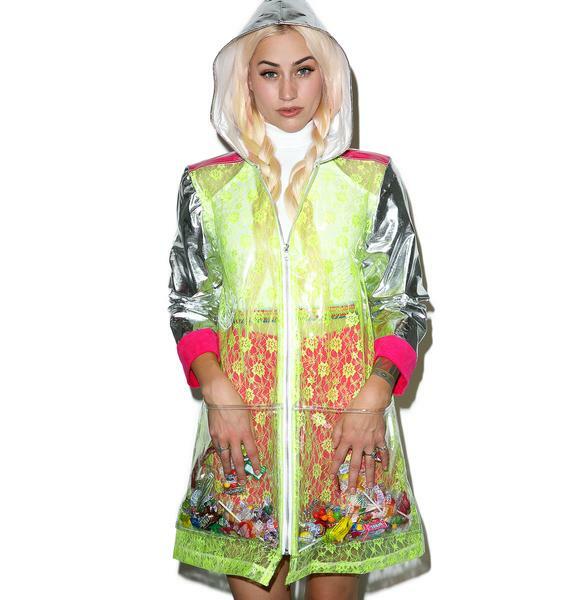 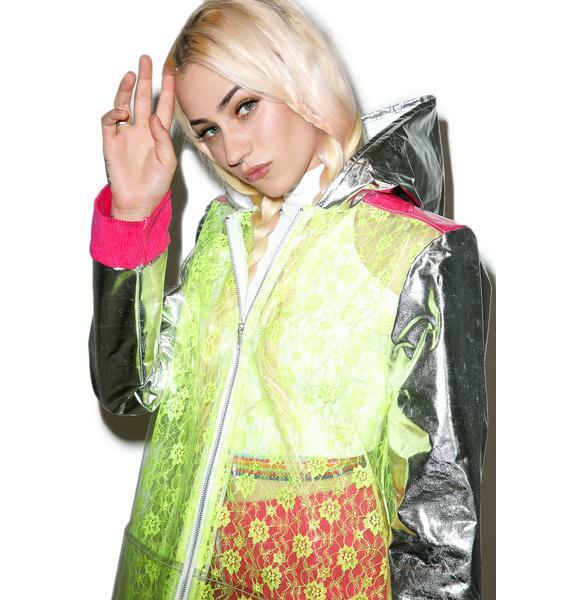 This long sleeve anorak jacket is supa unique with its clear vinyl material and eye catchin’ neon floral lace lining with pink trim. 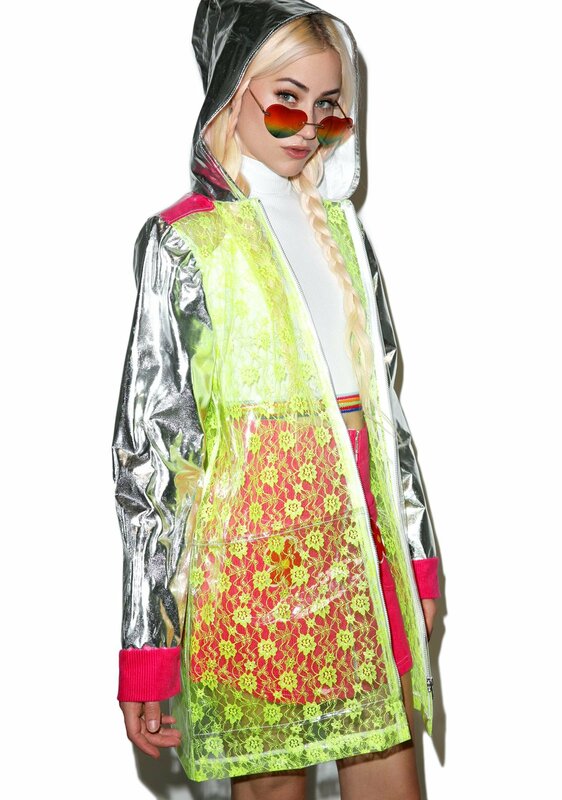 Featurin’ a cute relaxed fit, metallic long sleeves and attached hood, dual front pockets complete with front zipper closure.